Your price: 4,19 € tax incl. Buy 3 za 11,94 € and save 5%. 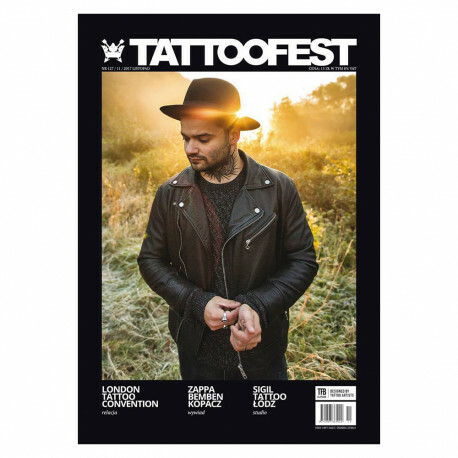 The Polish TattooFest tattoo magazine is one of the most popular and successful magazines of this art in Europe. Even though this magazine is entirely in Polish, you still will appreciate its originality and the amazing photographs of stunning tattoos. It is also worth mentioning frequent photo reports from European tattoo conventions.